You are probably on this page because you want to learn more about the top resources available on the “Cool Math Games” website! Chances are, you want to help yourself or your student(s) eliminate math stress and develop academic confidence! We have taken the time to review dozens of math websites and games to help you navigate and find the best information for your particular needs. In this particular blog article, we dive into discussing the popular site, “Cool Math Games” – which is one of three websites in the Cool Math Games network! Founded all the way back in 1997, the Cool Math Games network set out to make math more enjoyable for people who thought it couldn’t possibly be fun! Please note, although this website says math, there is very little math on this site. After diving into the website, we’ve found this to be more of a brain-training site, than a math curriculum focused education resource. The games and activities will be generally well suited for everyone, and includes a variety of logic & thinking puzzles in the form of fun & games. These games have no violence, no empty action; just a lot of fun challenges that will make you forget you’re getting a mental workout! If you are looking for a site with a stronger focus on the common core math standards, we suggest you check out Math Playground. This website is best for students aged 13+, and includes simple explanations on topics like algebra, pre-calculus and more! Although it doesn’t have many games, the formulas, videos, and tools are a great resource for teenagers! This math website is best suited for students aged 12 or younger. Cool Math Kids is an amusement park of math games and more, designed to teach math… and make it FUN! Although the games are not as focused as Math Playground… this website provides excellent educational resources for students and teachers in the K – 7th-grade range. Now that you have a general overview of the three “Cool Math” websites let’s dive into website #1! Here’s “Cool Math Games,” in more depth. In my opinion, it looks like Cool Math Games was created strictly for monetization purposes. After spending some more time on the site, it would appear that the developers were more focused on creating games that would attract students and keep them wanting to come back, rather than publishing curriculum tied games intended to educate. With several million users per month and dozens of ads across the page… it seems like they have done a great job at accomplishing this feat! However, from an educational standpoint, we’re not convinced that this website does any better at helping students with their math skills than their video game system already does. “Playing video games has positive cognitive, motivational, emotional and social benefits. Specifically, playing video games can increase problem-solving skills, enhance creativity and help teens tolerate failure. Not to mention, they are fun and can improve general well-being.” – Uriah Guilford, MFT. Therefore, I am not declaring this site to be “bad” for students. In fact, based on my research, video games can have a positive effect! The key take-away here is that, due to the lack of curriculum focus, for the most part, spending time on this website would be about as effective at teaching math as having your student play video games on their console. Let’s start by taking a look at the ten navigation sections! These are here to help you better understand how to navigate and best use this website. Jump to the end of the article to see the summary and what sections I believe are the best for your student to gain value… and which ones are just a waste of time! PS: If you want to stop the ads and unlock game levels, you can start a free 7-day trial; then, only pay $5.00 per month. Cancel anytime. Learn more by clicking here. The “Strategy” navigation section contains fun games for students to play. These games primarily focus on challenging student’s logic and problem solving skills. For example, the popular game, “Diggy,” is all about helping him dig to the center of the earth and find wandering truffle. When Diggy runs out of energy, use the money you’ve earned to buy upgrades to Diggy’s equipment. You have to be strategic about what you buy to ensure you reach the center. Chess: Checkmate! Play the classic strategic board game. You can challenge the computer, a friend, or join a match against another online player. Clicker Heroes: Click to defeat monsters, earn gold and level up heroes. Ascend and transcend to reach new heights of power. See how far you can go! The Final Earth: Earth has been destroyed! It’s a good thing you teleported to a new planet. Gather resources and build a colony. Checkers: The classic board game of moving and jumping. Play vs. the computer, or against a friend. Pre-Civilization Bronze Age: Grow your civilization during the Bronze Age. Collect food, research new technology, and build a world wonder, but watch out for other civilizations! Mainland Wars: Rally your troops to conquer territory in this Risk-like game. Capture neutral territories to build your economy and then attack the enemy base! Block the Pig: The pig is on the loose! Help prevent him from escaping by placing stone walls to block his path. 4 in a Row: Play with a friend, or against three different computer opponents. Can you beat the hardest AI? Strategic Tic-Tac-Toe: Think you’re a Tic Tac Toe pro? Try this version, which is like a game of Tic Tac Toe inside a game of Tic Tac Toe. Confused? You have to try it! You can visit the most popular strategy games by clicking here! The “Skill” category is very much like the strategy section. The only difference is, it requires even less critical thinking power, and more gaming skills. To put it into perspective, some of the most popular games on this platform like “Snake” & “Run” exist under the “Skill” category. Both of these games also require very little critical thinking skills and ZERO math skills to achieve results. Below, you will see a gif of the popular “Cool Math Run” game. The “Numbers” navigation section is one area of the site that actually touches on math problems. Here, your student will play games like Crazy Taxi M-12, where you need to know your multiplication tables to succeed, and “2048,” where the goal is to get a single square to be 2048. This requires you to use strong critical thinking skills. Below, is a gif showing you how the “2048” game works. The “Logic” category games are also very similar to the strategy section we talked about above. In fact, I don’t fully understand why they didn’t just combine these sections into one. Cool Math Games, “Bloxorz,” seems to be one of the most popular games in this category. The goal for Bloxorz is to get a block to fall into a square hole at the end of each stage. There are 33 stages to complete. Trivia is a new section that has recently been added to Cool Math Games website. Some of the content can be educational for students such as the “Where’s That City?” quiz that helps students with their geography in understanding where cities in the United States are located. Other trivia games, like “Who’s Googled the Most,” where you make guesses on is Jay-Z or Beyonce Googled more… in our opinion is pointless and just a time waster. The more navigation section is broken up into six different categories. Classic Cool Math Games Category: This contains games in all categories that are considered classics. Games include: Dominoes, Tic-tac-toe, chess, etc. Puzzles Cool Math Games Category: This section contains online jigsaw puzzles with varying difficulty. It is the same as doing a real jigsaw puzzle… just online! Memory Cool Math Games Category: This includes a variety of games that attempt to test and improve your memory. For example, “Sketch 2” shows an image, then it slowly disappears. It is your job then to sketch over the image the best you can! Afterward, it grades your work based on how you did. Geography Cool Math Games Category: In this section, you will find a variety of games that help improve your understanding of geography in the USA, Europe, Asia, North America, South America, Africa, Oceania, State by State, and more! Science Cool Math Games Category: Students go over the basics of science as they play these games! For example, in “Bond Breaker,” students put their chemistry cap on in order to control powers of molecular attraction and repulsion to solve the challenging puzzles. HTML 5 Games Category: Unlike the title may suggest, your student isn’t going to learn any programming or coding in these games. They are just games that have been built using HTML 5. These games can also be found in a variety of the other categories. The playlist navigation section includes a variety of games based on types. For example, there is a playlist, called “Ball Games,” which contains a variety of games related to balls. There is another category, called “Ninja Games,” which contains a variety of games related to ninjas. When you click the “Random” button in the navigation tab, you will be randomly selected a game to play! It also shows you a list of “Cool Math Top Picks” that may be of interest to you. Here, you will find all the different games that contain levels that are blocked unless you are a subscriber. As I mentioned briefly at the top of this blog article, if you want to unlock additional game levels and get rid of ads, you can start a free 7-day trial; then, only pay $5.00 per month. Cancel anytime. This doesn’t mean you can’t play these popular cool math games. It just means you will have to get to the premium account to unlock certain features within. Much like the name suggests, this section will allow you to browse and search for all the different games that Cool Math Games provides, in alphabetical order. There are hundreds to pick from so I don’t think your student will ever get bored! It’s no wonder they have millions of monthly users… FREE games for days! 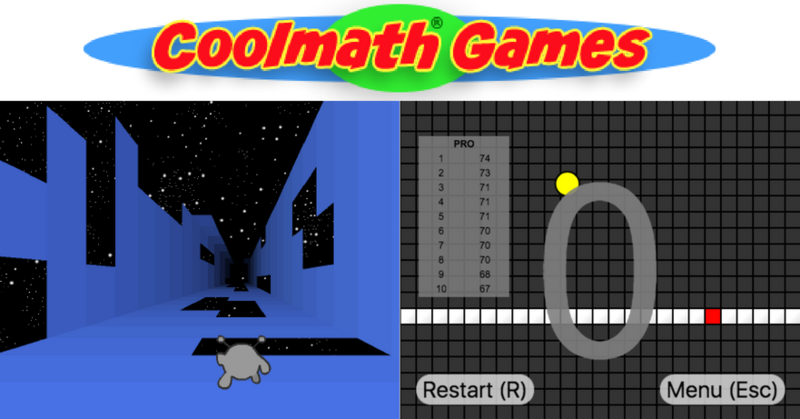 Although the title of the website is called “Cool Math Games,” very little “math” is included in any of the games. After our analysis, we see the games falling into three different categories. 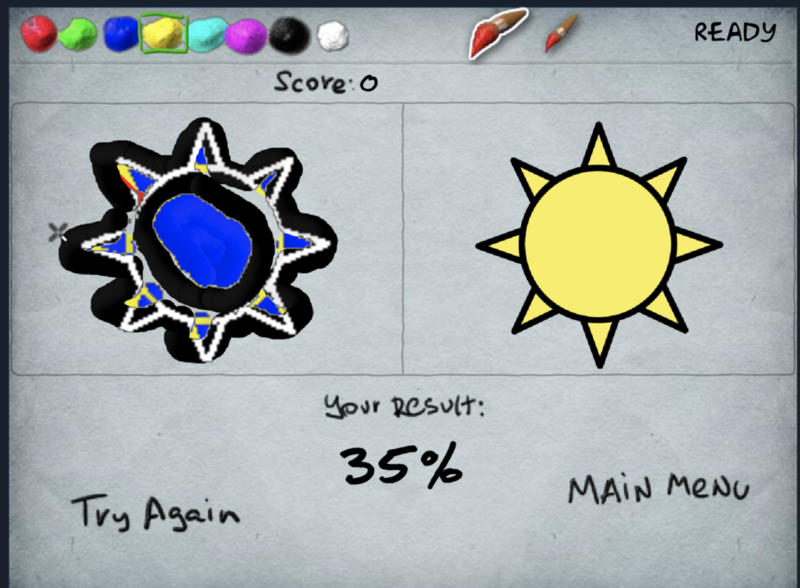 Cool math games that are: educational, improve critical thinking skills, or, are just a waste of time. The following five categories are a hit and miss in what category they fit above. Finally, if you are looking for your student to improve their critical thinking skills and be kept busy, then cool math games has a lot of free value to offer. Playground math is very focused on the education side by connecting all games to common core math standards. Do you have questions or insight you would like to share with the parents & students of our community?